Four Paws Rehab & Fitness is a referral-based practice. Your veterinarian is required to fill out a referral form prior to your pet’s first treatment. Underwater Treadmill Therapy is highly beneficial as it uses the therapeutic properties of water – including natural buoyancy – to improve range of motion, strengthen muscles, and boost endurance – with reduced risk of injury. Underwater treadmill therapy can help rehabilitate soft tissue injuries, postoperative fracture/repair care, neurological impairments, osteoarthritis, muscle weakness, geriatric care, weight loss, conditioning and postoperative amputation. 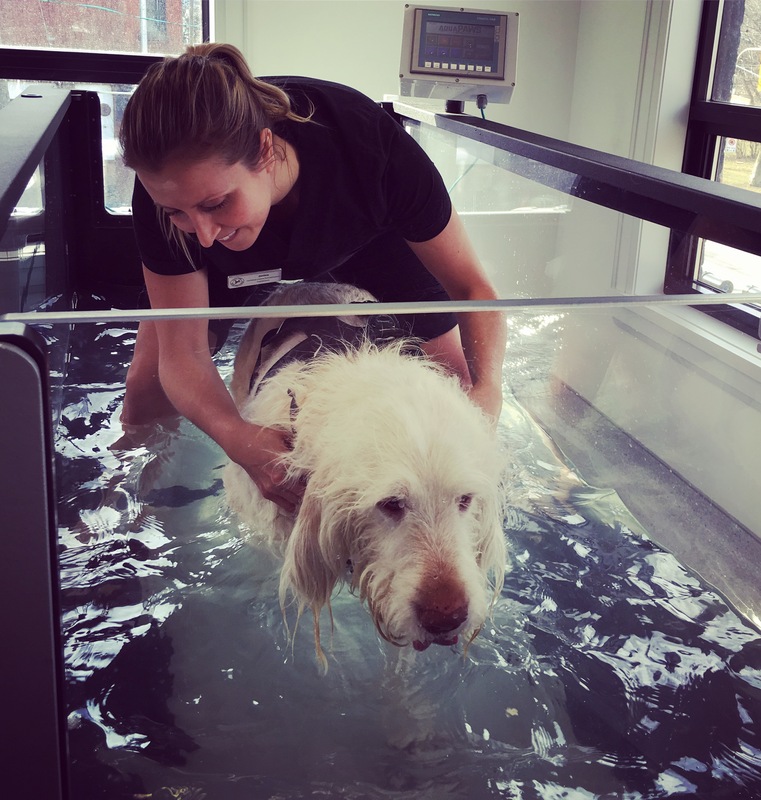 Your pet’s rehab practitioner may raise or lower the level of water, according to how much or little weight is bearing on the pet’s body, to return it back to a normal gait pattern. Reducing the weight put on the bones and joints is highly important to increase endurance and strength – and help to facilitate any necessary weight loss – without excess stress on the joints.